When Tropical Storm Lee hit the Gulf of Mexico, the community of Owego, New York was hit hard. When the waters receded, the village pulled together to restore its infrastructure, including the school district. For that, they needed a great deal of help. Longtime partners of the village, the Pennsylvania-based design firm Highland Associates was among those that stepped up. Highland Associates had been working with Owego Apalachin School District on various projects since 2007. Working hand-in-hand with the district, FEMA, the New York State Education Department and the state, the new facility was set to be built in the same place as the original but this time would be raised above the flood plain. 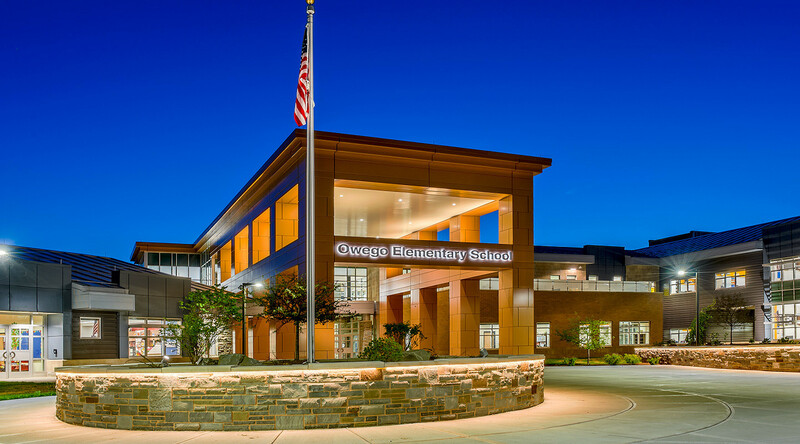 This project was never going to be a mundane, cookie-cutter elementary school building. This was an opportunity to make a statement of strength and inspiration to a community determined to bounce back from hardship. There were four major goals laid out from the beginning of this project. One was to create a space where students could feel safe and comfortable. Second was to design engaging spaces that extend learning beyond the classroom. Third was health and wellness, which meant maximizing daylighting and improving indoor air quality while chasing a LEED Silver certification from the U.S. Green Building Council. And fourth was to serve the community as a symbol of healing. 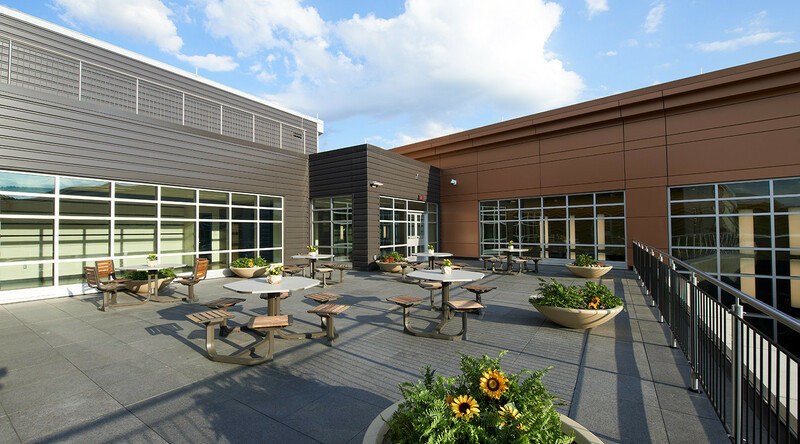 The exterior also needed to connect with the community, and metal was a clear choice to complement the surrounding structures and give Owego Elementary School its own unique look. 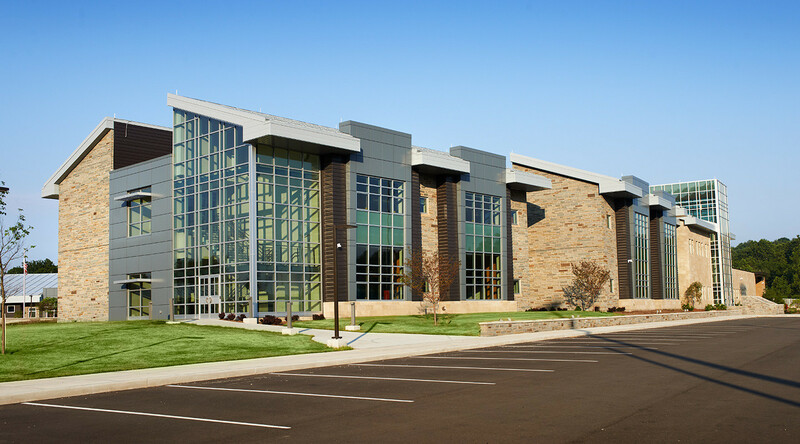 CENTRIA's MetalWrap insulated composite backup panel system provides thermal and moisture performance behind the bulk of the mixed-medium building envelope. The product features integral attachment systems for metal, terra cotta, brick, and other façade materials, making it the perfect solution for mixed-medium exteriors. For four years after the floods brought on by Tropical Storm Lee, children in Owego had to be bussed up to an hour each way to attend schools far away from their community. 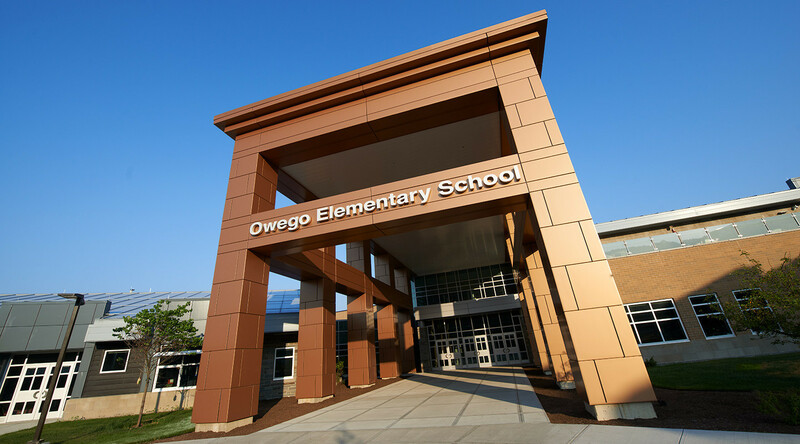 On January 6, 2016, students returned to the brand new Owego Elementary School. There is a great sense of pride and community felt from those who worked on the project and the community that calls the school its own.